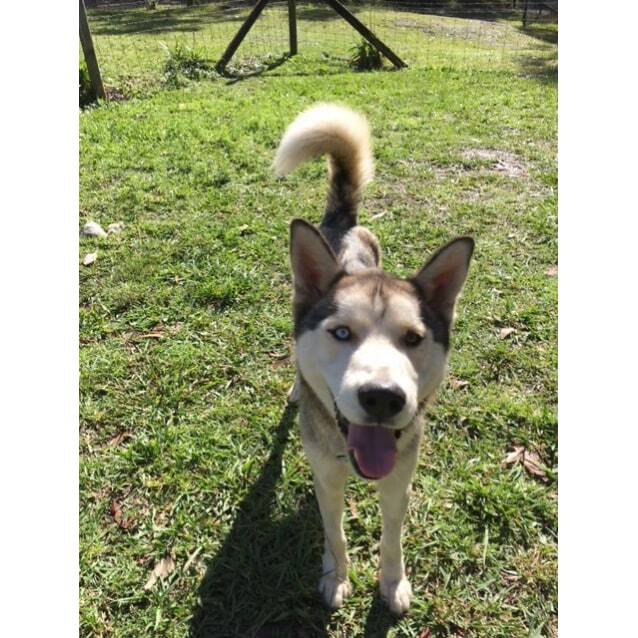 George is a friendly and active Husky mallie boy who is looking for a family who will take him on adventures and may even try some sledding with him. 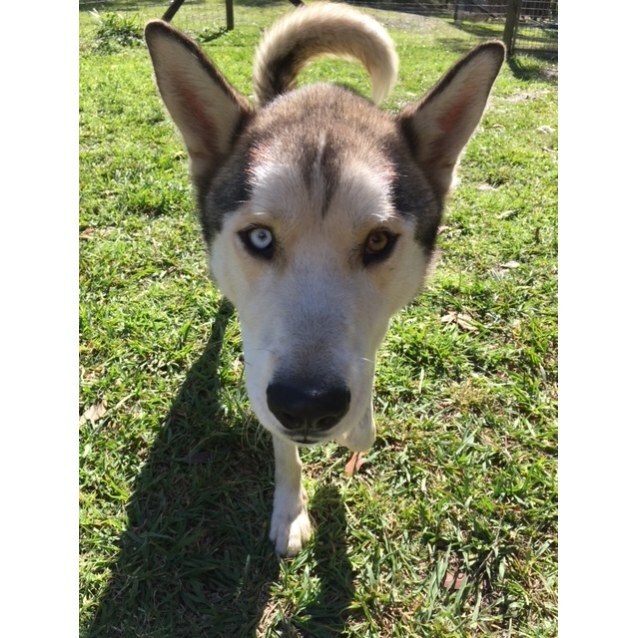 He has basic commands but would benefit from some ongoing training as he is very eager to please, particularly when you have treats. 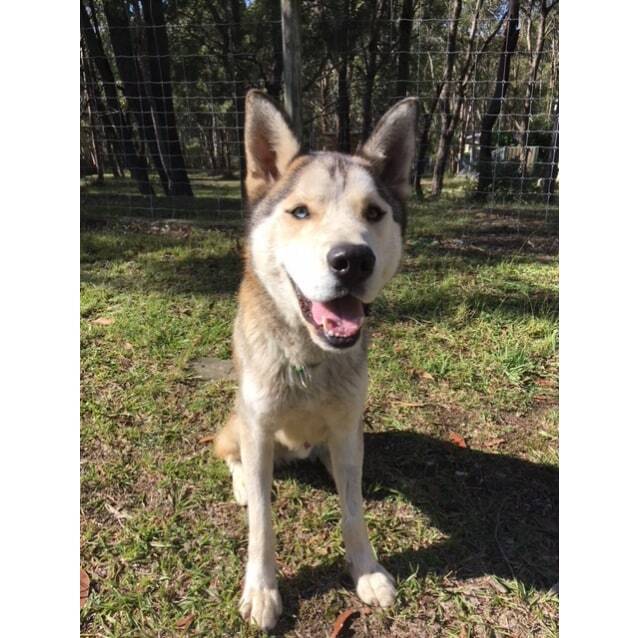 George would do well in a family with older children and a friendly arctic companion would also be a good match, but he is selective so careful introduction is a must. George would benefit from food training as he does guard his food to humans and other dogs, therefore children over 16yrs only. George has been diagnosed with IBS and is on a special diet to be proactive against this. The diet is easy, not time consuming and will be supplied by us to the permanent foster carer. 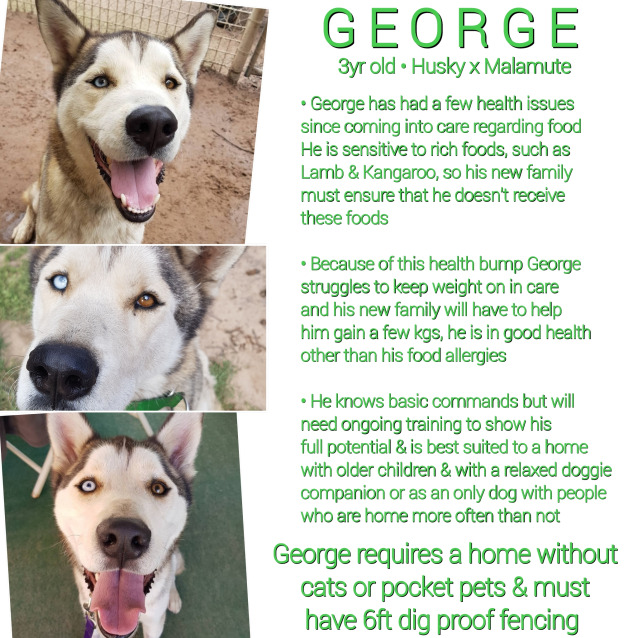 George has IBS and had an allergy to a particular food so anyone wishing to foster him will need to ensure he does not get Kangaroo EVER as he nearly died. He required surgery and medication and is now recovering but is still quite thin. We will discuss any food requirements with potential foster carers and cover all of Georges ongoing costs whilst you love him for us in a home environment.